Want to know how to be productive in college? Time doctor is one of the best apps for college students, because it helps hone college time management skills. So follow along, and get ready to become one of the most productive students on campus! We’ve gotten lots of real world feedback from busy college students who say that the Time Doctor time tracker is especially well suited to make the most of their precious time. It brings in the hard sciences to help improve the soft skills so many employers look for, which makes many professors and college administrators happy as well. 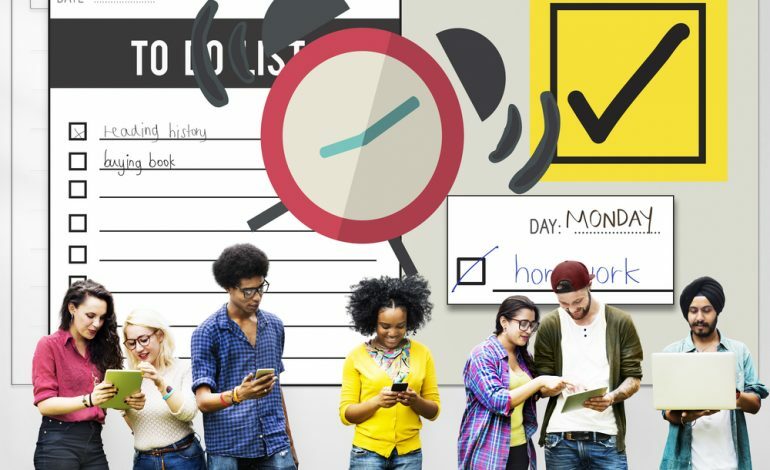 Here we’ll list the top 13 ways that students at any level can gain a critical edge in preparing for the working world with a good time tracker like Time Doctor. If you ask a college student (or anyone else for that matter) how they spent their time last week, they may or may not be able to tell you (even on a day by day basis) what they did. Very few would be able to report what they did hour by hour, and none of them would be able to tell you what they did every minute. If you hope to empirically improve your productivity, you need hard data, and you need that data to be accurate. Time Doctor gives you that data, so that it is then possible to compare with great accuracy how various college time management strategies affected your actual time use, over time. Without this data, it’s all just guesswork. Did we mention it’s free? None of the other things on this list mean a darn thing if it isn’t free, am I right? Time management apps for college students are often lacking in development resources (and thus quality) if they were built with a free distribution model in mind. And this is common, as college students are among the most financially strapped people in the country, surviving on Ramen noodles for food and YouTube for entertainment. However, Time Doctor is a professional grade productivity app that is designed for paying freelancers and companies. But we’re partnering with universities around the country (and around the world) to bring these professional level college time management features to students for FREE. If your university hasn’t partnered with us yet, ask them “Why not?” There’s no cost for the university either. Have them contact our partner manager for implementation details. Students who spend time on the computer often engage in countless hours of internet based research, where sites like Facebook and YouTube are just a click away. Time Doctor goes beyond being a simple time tracker by monitoring website & application usage, and detects when you navigate to a poor time use site or app. A friendly popup reminder (provided by Time Doctor) is usually all it takes to remind you that you have dreams of world conquest that are far more important and urgent than the latest cat video, political meme, or trivial social scandal. Many of the things we are talking about in this article are referred to as “soft skills,” which employers often lament that new college graduates lack. Time management. Organization. Punctuality. Communication. Time Doctor connects many of these skills and brings them to the front and center so they’re not neglected. Nearly every major needs these soft skills, no matter the position or role they fill, post graduation. 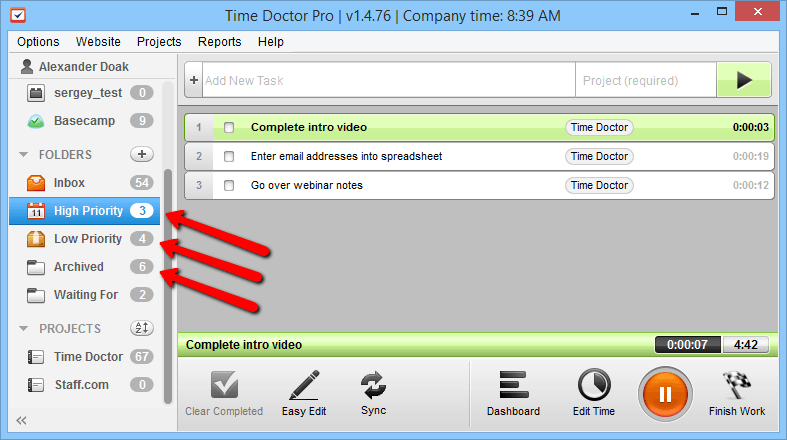 With Time Doctor, you can make sure you are working on the most important tasks first by using the folder feature found in the Time Doctor Pro desktop application. (There is no price difference between Time Doctor Pro and Time Doctor Lite. Anyone can use either application.) 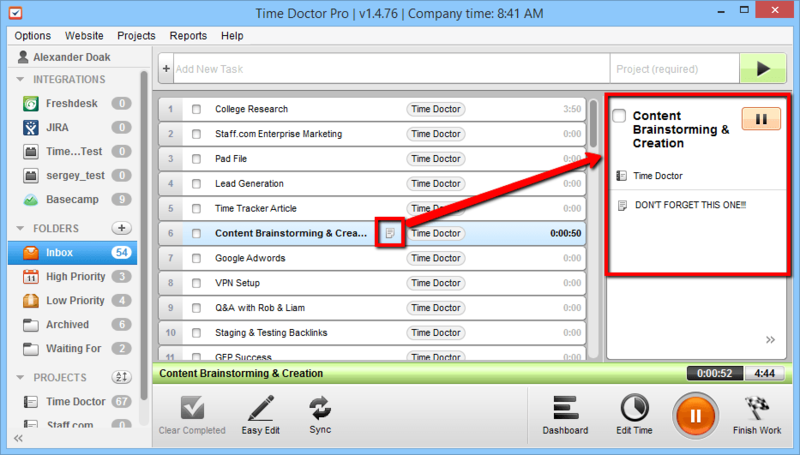 You can find the latest version of Time Doctor Pro on our download page. 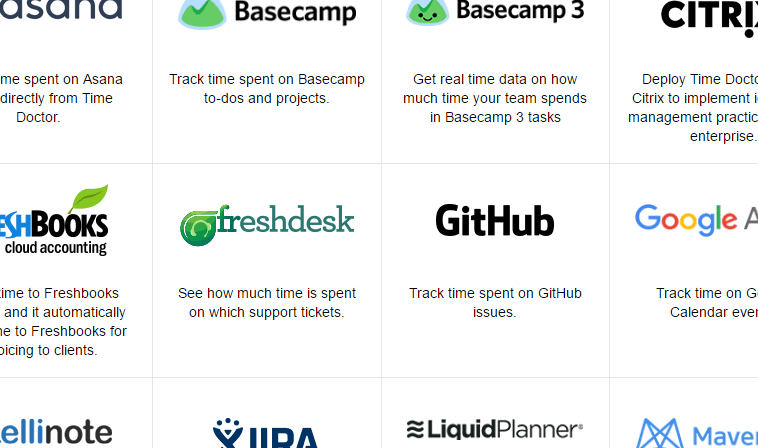 Some time tracker solutions boast extreme simplicity, and that can be good, but not if it means removing key features like Task Prioritization. Productivity is king in a world soon to be overtaken by AI learning, where every manual task will be handled by a machine and all us poor humans will have left of value is our minds and our creativity (here’s to hoping quantum computing doesn’t make that obsolete too!). In order to continue producing high quality ideas, insights, and actionable improvements, you need to balance your work / school / athletic / personal lives. Employing proper college time management best practices by using cutting edge tools like Time Doctor is key to avoiding college burnout and maximizing on creative output. One of the greatest gifts that proper project and task management gives a student is the freedom to completely forget a task. Once the task has been fully documented with notes in Time Doctor, your poor overloaded brain can release it and you won’t have to worry about it until it’s time to take action on it. Then it can take 100% of your focus, you can perform, and mark it done in that same time tracking system. Also, whenever you take a well deserved break from your studies, you don’t need to worry about remembering critical assignments. Work hard, then RELAX HARD! 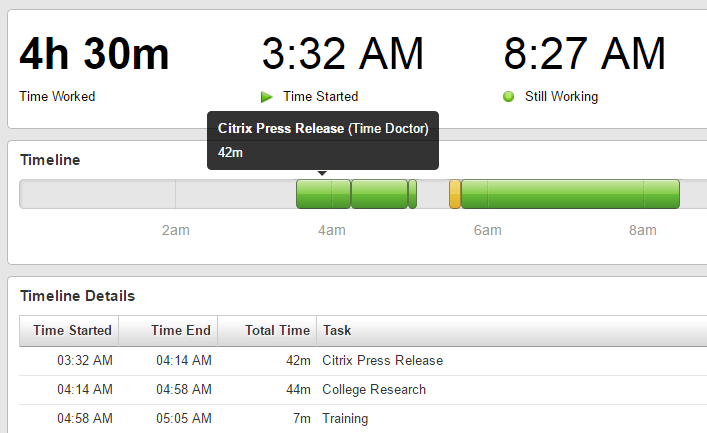 Time Doctor has a robust API that is in agile development which college students are welcome to experiment with. If you are a student who is studying software development or some form of computer science, you’ll be able to access our API and put real world time tracked data to good use from your own Time Doctor account. Build your own student integration, and let us know when it’s done. If we like it, we just may feature it in one of our blog posts. Why wait for graduation to start your software career? Because Time Doctor stores the tracked time data securely in the cloud, it’s available from anywhere in the world. Not only does this mean it’s easy to use Time Doctor while traveling, at home, in the dorm, or in the classroom. But it also means you can easily share the tracked time data with anyone no matter where they are. Time Doctor includes an optional free client access feature that just might come in handy for students who need to let their parents or professors know what they’ve been working on (entirely at the discretion of the student). By looking back over the previous time tracked over days or weeks, a student can examine exactly what applications and websites they spent the most time on. No need to rely on guess work. This is especially important when time seems to just stand still with certain less-than-thrilling applications (Excel anyone?). Once you know what tools and sites you actually use the most, you can direct your future learning accordingly. Should you take another class on Adobe Premier? Maybe you need to brush up on efficiency tips for Outlook or Gmail. Time Doctor gives you the actionable data you need to make these decisions and perfect your college time management. Time Doctor is also fantastic for teams from 2 people to 200+ people. (Though if you need 2,000+ seats, you may want to take a look at an enterprise productivity solution.) Time Doctor integrates with a host of project management tools that nearly every company in the world is already using. You can integrate a project management suite of your choice to experiment with the software interfaces yourself. Or, if you are ready to work with others on important projects near the end of your college career, you may want to upgrade to a paid Time Doctor account so you can share project details with the team to get valuable group experience. Let’s face it. It’s really hard to put together a full resume right out of college. If you put into practice the things we describe in this article, you’ll have plenty more to talk about on your resume and during interviews. Feel free to pull whichever ideas you like the most straight off this page. It’s best to reword them a bit, just to be safe. Time Doctor is a fantastic time tracker, but it does so much more. We have a strong scheduling feature, payroll features, absent & late features, and our paid multi user accounts are especially suitable for managers and administrators who need to monitor dozens or hundreds of workers’ productivity. Students who are looking to get into these fields would do well to familiarize themselves with the tools that are used in that type of work. Who knows, as a manager you may end up deploying Time Doctor inside a company that hires you, to quickly improve productivity company wide. These are just some of the reasons Time Doctor is the best app for college students to improve their college time management abilities. 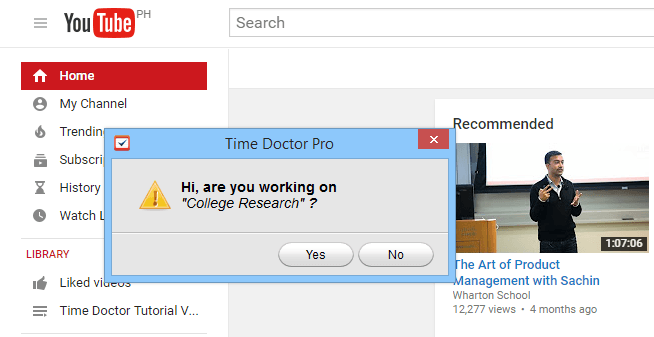 How do you use Time Doctor at college (or anywhere else)? Is your college on our list of partners yet? (If not, have them contact us.) If you think of any other ideas that we haven’t mentioned here, do let us know in the comments below!